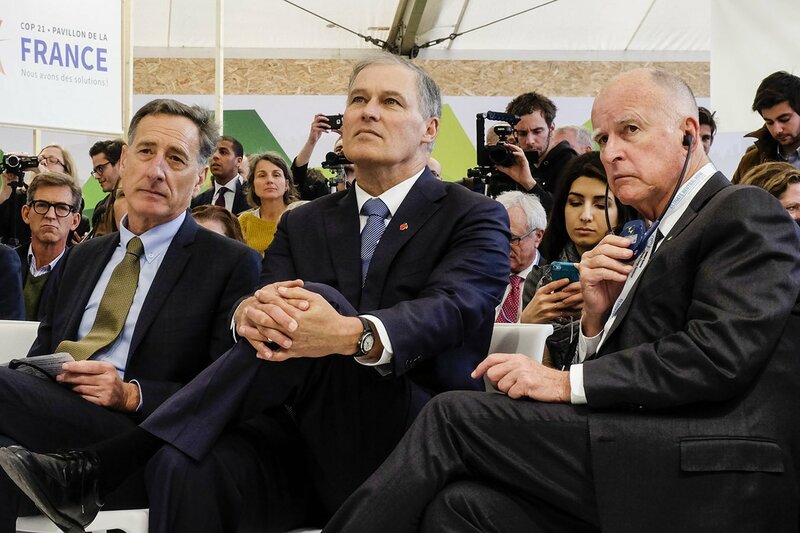 SEATTLE — Jay Inslee, the Washington Governor, is cheerfully running for President of the United States under a banner of climate change, but Inslee’s political exploits are far more expansive than they appear. At first glance, Jay Inslee’s hyperfocus on climate issues would lead voters to assume that Inslee’s passion for saving the earth is what drives his politics. However, a second look at Inslee’s long career in public service paints a different, more globally conscious picture. Jay Inslee joined public service when he became a part of the Washington State House of Representatives in the mid-1980s. Inslee then served in Congress from 1992 to 2012, the year in which the people elected him as Washington’s governor and where he continues to hold the mantle even as he runs for higher office. Added together, Jay Inslee has spent half his life in public service and he clearly has no intentions of slowing down. During his time in Congress, Inslee distinguished himself in being a co-sponsor of the Global Poverty Act. This bill stated that the United States would implement a plan to further the U.S. foreign policy agenda to reduce global poverty and support the U.N. Millennium Development Goals. The main purpose of the U.N. Millennium Goals is to address extreme global poverty by reducing the number of people who live on $1 a day. The House passed the Global Poverty Act of 2007 and referred it to the Senate Foreign Relations Committee. As a Congressman, Inslee ear-marked his political identity with progressive, forward-thinking legislation, and as governor, he continued to prioritize liberal policies to address social justice, civil rights, public infrastructure investments and clean energy economy. After being re-elected in 2016, Inslee also became an endangered political species – an apologetically democratic governor. In 2018, Jay Inslee joined with other like-minded state leaders to fight against the Trump Administration’s ban on Syrian refugees. April of 2018 saw Inslee writing a letter to the U.S. State Department to urge a reversal on the refugee restrictions. Inslee wrote this letter after President Trump ordered air strikes against Syria and the letter was a condemnation of Trump’s defense that airstrikes against Syrian civilians and ensuing refugee restrictions were about humanity. While it is clear Jay Inslee makes no bones about his commitment to climate change, his voting record discloses an often overlooked dedication to other global concerns. One might argue that the climate is the biggest threat to global poverty to date and perhaps it is. Perhaps Jay Inslee’s devotion to stopping global warming in its tracks is the heftiest draw to his campaign, but for voters more concerned about the day-to-day challenges of global poverty, it is the fact that Inslee has made strides in that direction that might bring them comfort. The bigger picture does not blind Jay Inslee, he pays attention to the smaller strokes that make the whole as well.